There are two points to consider, the point of the blogger and the point of the blog commenter. This article tries to attack the question from both perspectives to show you if blog comment sections and blog comments really are a waste of time. 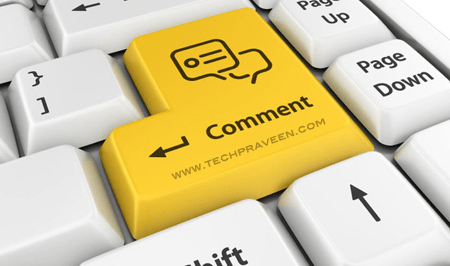 Why bother having a comment section on your blog? WordPress sets all comments as default “no-follow”, which means they are useless for your SEO (Search Engine Optimization). So, why bother putting comment sections on your blog at all if they have no SEO value? They do have an SEO value. Google likes pages to be frequently updated, and if your comment section is followed then it is possible that Google will see your frequent comments as page updates. This is a good thing for your SEO. The other way they help your SEO is by proving your website or blog is of value. People tend to comment on websites or blogs that are useful and valuable. A blog with a lot of comments may be an indication to the search engines that your blog is useful and popular. This is going to improve the search engine ranking of your blog. This is the person who comments on a blog and inserts a link. The idea is that the link from the comment section is going to help the commenter’s SEO on his/her blog or website. This only occurs if the link is followed and not instantly deleted. It is hard to find a blog comment section that does not have the “no-follow” tag on it, and even harder to find a blog owner who does not delete every link in every comment section. So, in terms of wasting time, you are going to waste a lot of time trying to find suitable blog posts. The theme of the blog may be quite clear, but you are not going to understand the bloggers understanding of it until you read a few of his or her blog posts. The blogger may be biased in one way or another, and your comment and link is more likely to be accepted if you exhibit a similar bias. The blogger may try to stay impartial, but the blogger is only human. If you agree with the blogger’s bias, then you can appeal to his or her vanity to increase the chances of your comment and link being accepted (i.e. actually remaining on the comment section). Take a few minutes to check the titles of the blog posts that have already been published. Check to see if they are similar to your title before you comment and add your link. Making a comment about something when it has already been covered in another blog post is just going to anger the blogger and make him/her want to delete your link. If you are going to make a point then you need to impress the blogger so that he/she feels guilty about deleting your comment and link. If you are a blog master then having a comment section may be a bigger waste of your time than simply not having one and making frequent updates to your blog on your own. A comment section is going to require daily maintenance to stop people dropping or spamming links on it, and many people may want replies from you personally, which may lead to a cute little PR nightmare. If you are a blog commenter and want to install a link then you have your work cut out for you. If you already have a list of amenable blogs that allow followed comments, then it may be worth your while. Otherwise, you may wish to think again. If you are dead set on improving your own SEO through commenting on other blogs, then try a few different blogs each week and record which blogs allow you to install a link, which are indexed by Google, and which are not deleted. If you can make a good list of all the blogs that allow this, then you can use the list in the future when you want to improve your SEO with comment links. But, remember that it is still a very time consuming activity. The guest post is written by Sonia Jackson from http://www.cool-essays.com. She writes essays on different topics and can give you useful advice.